Indies First/Small Business Saturday 2017 and the start of the holiday shopping season are just a week and a half away, and more independent bookstores around the United States are finalizing their plans for the annual celebration of bookselling and small businesses. 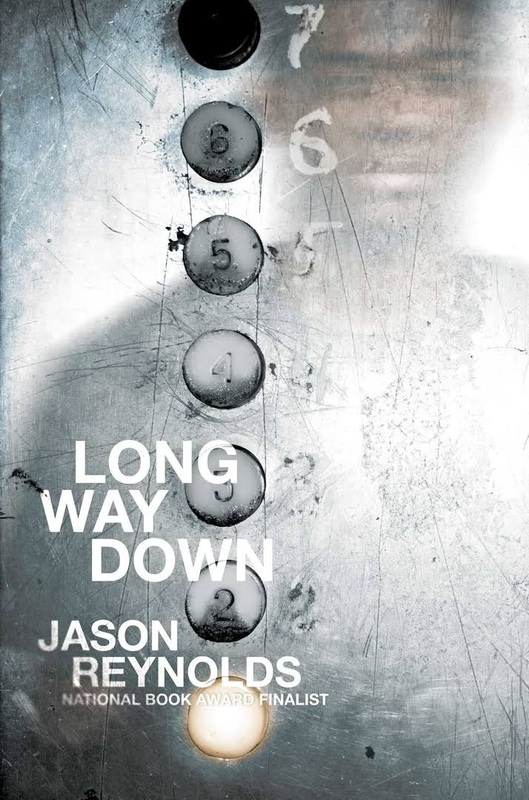 This year's spokesperson is young adult author Jason Reynolds (Long Way Down), who will spend November 25 at at East City Bookshop in Washington, D.C. The American Booksellers Association is running an Indies First Sweepstakes from November 15 until the 26th. Instagram and Twitter users who feature an American indie bookstore in a post with the hashtag #ShopIndiesFirstSweepstakes will be entered to win $1,000 worth of books. There will be five grand prize winners, and for each winning post, the associated independent bookstore will receive $1,000 worth of books to be donated to a charitable organization of their choosing. Kona Stories Book Store in Kahaluu-Keahou on the Big Island of Hawaii is celebrating its 11th anniversary on Indies First/Small Business Saturday. There will be promotions and giveaways, and local cookbook author Sonia R. Martinez will stop by to demonstrate recipes from her most recent book, Sonia Tastes Hawai'i: Recipes Inspired by the Farmers Markets of Hawai'i Island. 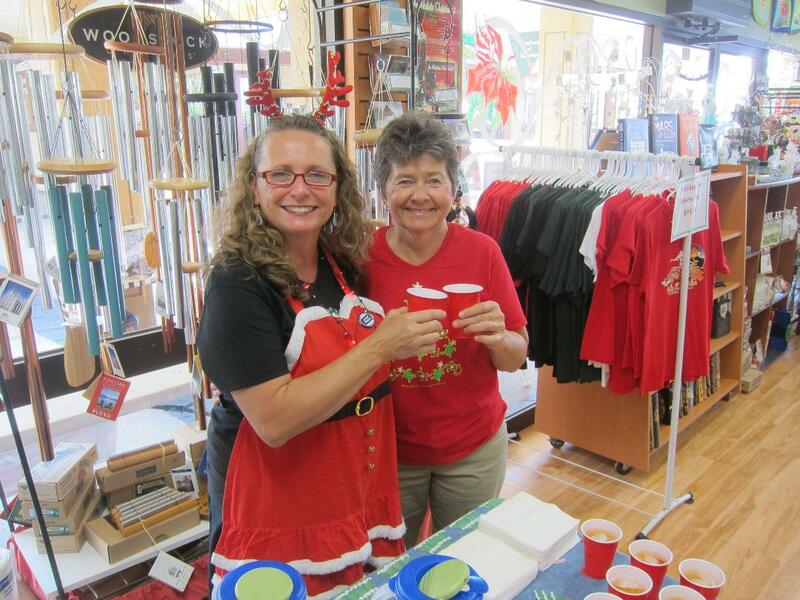 The Grinch will be on hand for holiday photos, the West Hawaii County Band will play a concert in the courtyard outside of the bookstore, and co-owner Brenda McConnell will be making fresh sangria for adults. On November 25, 2-3 p.m., Avid Bookshop in Athens, Ga., will host a Holiday Book Swap at its Five Points location. Customers are invited to drop by and swap old books for new ones, and any leftover books will be donated to Books for Keeps, an Athens nonprofit that donates books to children from low-income families. It costs $3 to participate in the Book swap; each ticket comes with entry into a prize raffle. At Red Balloon Bookshop in St. Paul, Minn., Indies First/SBS will bring a host of children's authors into the store. Drew Brockington, author and illustrator behind the CatStronauts series; Rick Chrustowski, author and illustrator of My Little Fox; Megan Maynor, author of Ella and Penguin: A Perfect Match; Melanie Heuiser Hill, author of Giant Pumpkin Suite; Alison McGhee, author of Maybe a Fox; and Kelly Barnhill, 2017 Newbery Medalist for The Girl Who Drank the Moon, will be there as guest booksellers. DIESEL, a bookstore will be hosting Indies First events at its Brentwood and Larkspur, Calif., locations. In Brentwood, authors Carter Higgins (Rambler Steals Home and the upcoming This Is Not a Valentine) and Christopher Farnsworth (Flashmob) will be guest booksellers. In Larkspur, meanwhile, naturalist and painter Obi Kaufmann will discuss and sign copies of his new book, The California Field Atlas, and some of his watercolors will be on display for sale. In Detroit, Mich., Source Booksellers will celebrate the "Superheroes of Small Business" with a selfie station featuring a fathead poster of Stacy Mitchell, co-director of the Institute for Local Self-Reliance and author of Big-Box Swindle: The True Cost of Mega-Retailers and the Fight for America's Independent Businesses, as well as twitter and Instagram props related to the Indies First Sweepstakes. Children's author Jean Alicia Elster (The Colored Car and Who's Jim Hines) will be at the store in person. Murder by the Book in Houston, Tex., will have a special "Best of 2017" edition of Murder by the Book Recommends on November 25. Staff members will take turns sharing their favorite books of the year, and the store will also offer a preview of its 2017 Advent titles. The staff recommendations and Advent titles will be 20% off on Small Business Saturday and for the weekend. 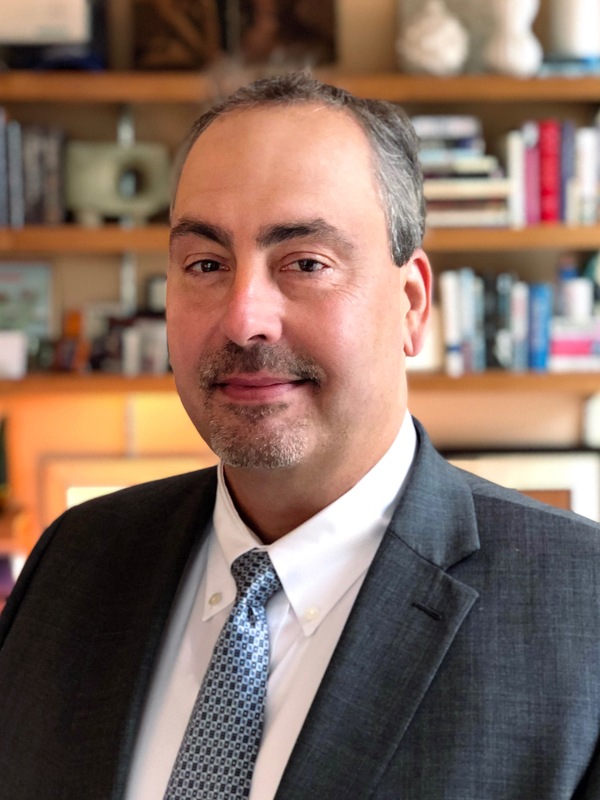 At Simon & Schuster, Michael Selleck, executive v-p, sales & marketing, is retiring at the end of the year, and a new leadership team has been formed for the sales division. "Simply put, there are very few people within Simon & Schuster who possess Michael's institutional memory and intimate working knowledge of our publishing history, our systems, operational infrastructure, and business practices and put them to such good use on a daily basis. And there are likewise few with his charisma, good sense and infectious enthusiasm. Any company's culture is created by its employees, but there are always a few who exemplify the most salient and best aspects of a company's values. Michael has, over the years, helped build the Simon & Schuster culture we enjoy and most assuredly represents the best of it." 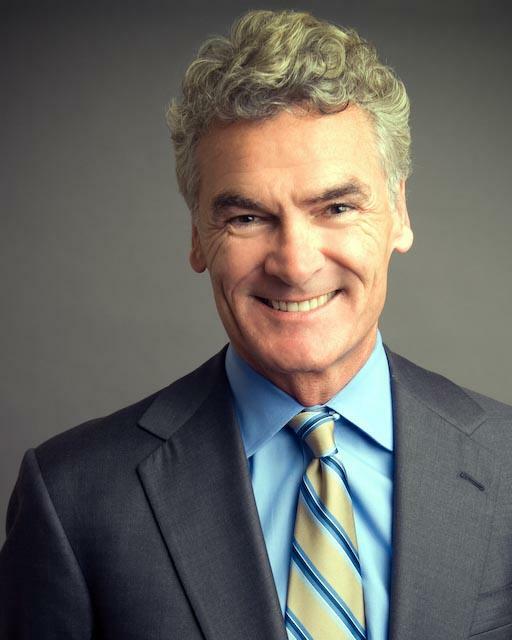 With the announcement of Selleck's impending retirement, longtime sales executives Gary Urda and Colin Shields have been promoted to senior v-p, sales andv-p, executive director of global digital & international sales, respectively. Urda joined S&S in 1996 and was most recently v-p, distributor sales & retail management, for all of S&S. 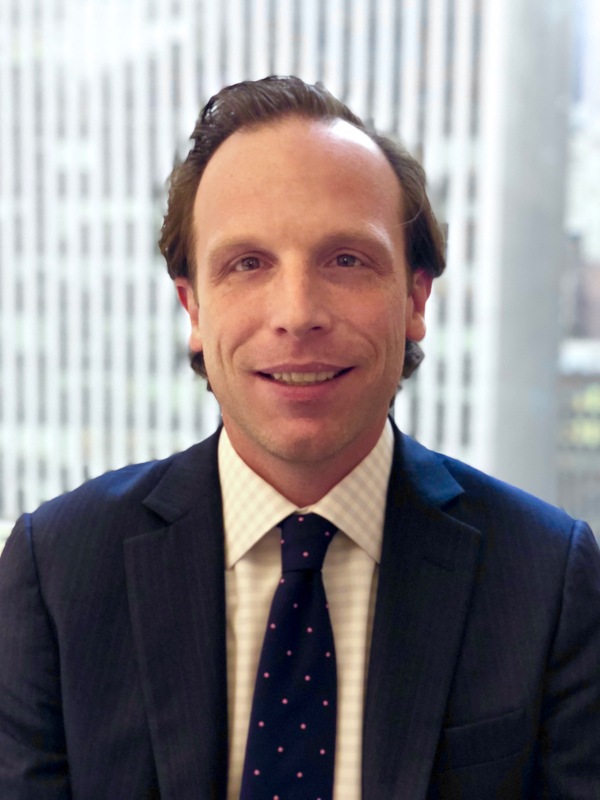 Shields also began his career with the publisher in 1996, as a marketing intern, returned to the company in 2000 and was named v-p, director of global digital & online sales in 2015. "I am delighted and thrilled that we have two such talented and exceptional executives ready to take on more responsibility and lead Simon & Schuster's sales team going forward," said Reidy. 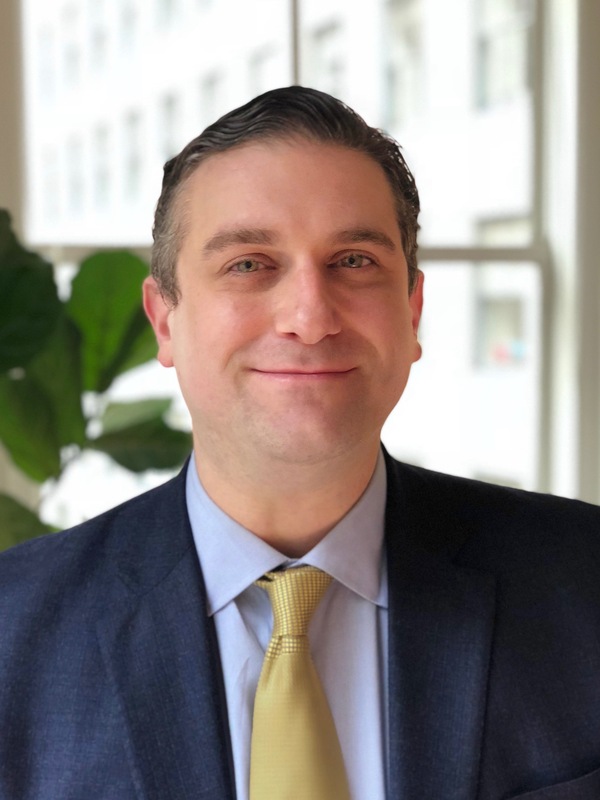 In other changes, Michael Perlman has been named v-p, general manager of Simon & Schuster Publisher Services. He was previously v-p, client sales & services. His new appointment takes effect immediately, and he will report to Dennis Eulau, COO and CFO. "Our distribution client business plays an important and ever-growing role in Simon & Schuster's business portfolio," said Eulau. "Under Michael's leadership we will continue to provide our clients with the full suite of world-class sales and distribution services that can help them to grow their business." 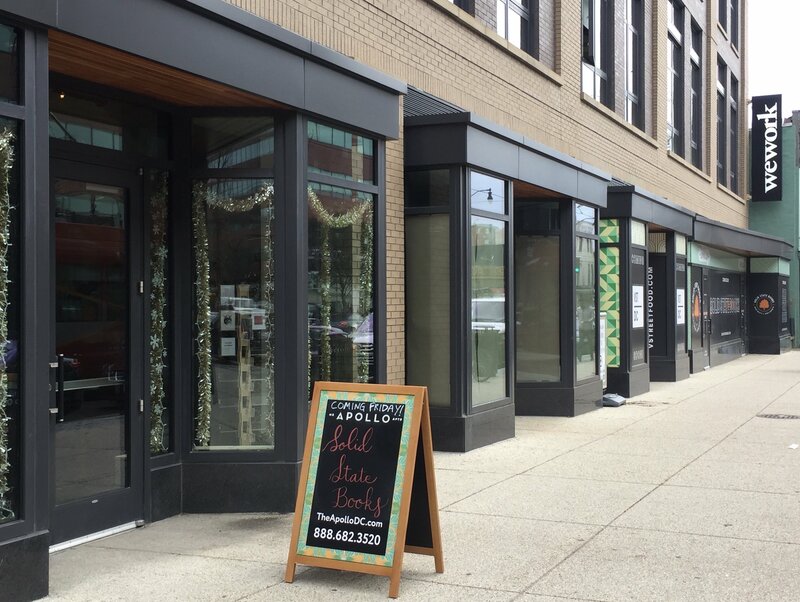 This Friday, Solid State Books, Washington, D.C., is opening a holiday pop-up store "just a few doors down from our permanent location at 600 H Street NE" while progress continues at its main store, which was first announced last summer. The store is owned by Scott Abel and Jake Cumsky-Whitloc, former longtime Kramerbooks & Afterwords Café managers. In an e-mail newsletter yesterday, Solid State told customers that "we're busy packing all we can into this space, and will have books, cards, totes and many other gifts for every book-lover on your list!" Amazon Adds Prime Now Delivery Fee in U.K.
Amazon has introduced a minimum order fee for its Prime Now same-day delivery service in the U.K. The Bookseller reported that "for purchases under £40 [about $52] made through the delivery service, customers will have to pay £3.99 plus a £2 tip for drivers. 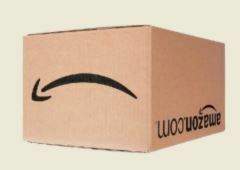 Previously, Amazon had a minimum order of £20 to get free same-day delivery through Prime Now. The minimum order has now come down to £15, although any order below £40 comes with the £3.99 fee. The fee covers same-day delivery within a specified two-hour period." Amazon launched Prime Now in London in 2015. It is now also available in Birmingham, Newcastle, Manchester, Leeds, Liverpool, Portsmouth, South Yorkshire and Surrey. The new policy "has not gone down well with customers," the Bookseller noted, citing social media postings like "So disappointed that @amazonprimenow changed the delivery fees won't be using this every week now #amazon #primenow #amazonprimenow." And: "Yep I just cancelled mine. Doesn't make sense to do that if like us we spend nearly every week. They shoulda just gave us the option to change our membership rather than make everyone else suffer because of the majority #loyaltygone." Liz Smith, the "longtime queen of New York's tabloid gossip columns, who for more than three decades chronicled triumphs and trespasses in the soap-opera lives of the rich, the famous and the merely beautiful," died November 12, the New York Times reported. She was 94. Her column, "Liz Smith," ran in the Daily News from 1976-1991; New York Newsday from 1991-1995; Newsday until 2005; and in the New York Post from 1995-2009--"a 33-year run that morphed onto the Internet in the New York Social Diary." The column was also syndicated for years in 60 to 70 other newspapers, and she wrote magazine articles and books. In 2005, she published a book of reminiscences and recipes, Dishing: Great Dish--and Dishes--From America's Most Beloved Gossip Columnist, "a serving of celebrities garnished with favorite foods," the Times noted. Natural Blonde, her 2000 memoir, was a bestseller. Yesterday, New York City's the Strand bookstore posted on Facebook: " 'Frankly, if I hadn't had the Strand in my life, I couldn't have worked effectively for the past 45 years.' --Liz Smith. Our thoughts go out to the friends and family of fiercely loyal patron and dear friend of Strand owner Fred Bass, Liz Smith. #rip." Gilbert Rogin, "who had an enviable run as a writer of droll short fiction for the New Yorker while building toward an impressive career as a top editor at Sports Illustrated and other magazines," died on November 4, the New York Times reported. He was 87. The New Yorker published more than 30 of his stories beginning in 1963, and he had written several well-received books, but "in 1980 Roger Angell, the magazine's fiction editor, rejected one of his submissions on the grounds--as Mr. Rogin later told the tale--that he was repeating himself. He stopped writing fiction entirely," the Times noted. Rogin's first book, a story collection titled The Fencing Master, was published in 1965, followed by the novels What Happens Next? (1971) and Preparations for the Ascent (1980). 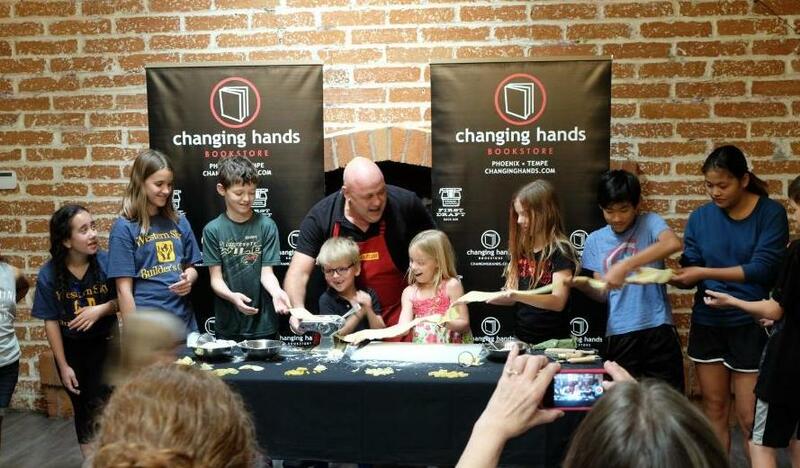 At Changing Hands in Phoenix, Ariz., Gino Campagna presented a pasta demonstration with the help of some young chefs and signed his debut cookbook, Chef Gino's Taste Test Challenge (Rodale). Happy 40th Birthday to the Children's Book Shop! Congratulations to the Children's Book Shop, Brookline Village, Mass., which is celebrating its 40th anniversary this fall. Celebrations reached a peak November 11, when owner Terri Schmitz hosted a visit by longtime bookshop friend Peter Sís, who signed books, including his newest, Robinson. They were joined by loyal customers, past and present booksellers and staff and book industry representatives in toasting the store and its future. The bookstore's logo (a silhouette of children reading under a tree) was created by award-winning illustrator Trina Schart Hyman for the store's fifth anniversary, and Sís created the bookshop's 20th anniversary poster. 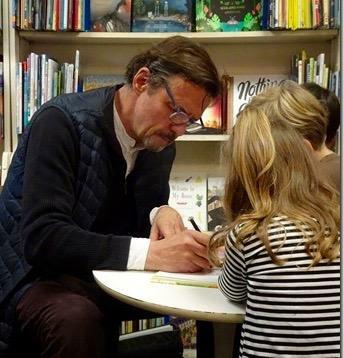 Among the Children's Book Shop's community activities are an annual poetry contest, with more than 700 local students submitting original poems; collaborations with Lesley College and Simmons College symposia; Wondermore (a nonprofit supporting author visits to underserved schools in Boston); and donations of gently used books to the Reach Out and Read program and a sock drive for Boston Health Care for the Homeless. The Children's Book Shop was founded by Brookline resident Rusty True Browder, who was inspired by the Bookshop for Boys & Girls established by Bertha Mahoney Miller in downtown Boston (from 1916 to the late 1930s). Browder featured books "in which young people could see their faces and lives reflected as well as those that carried them beyond their own experience," the shop noted. "Early on, the bookstore became known for its excellent selection of multicultural books." In 1985, Schmitz purchased the business, which has received numerous awards, ranging from Best of Boston to the Women's National Book Association Pannell Award in 2000. "There is no doubt the bookselling climate has changed significantly over the years of the bookstore's existence, presenting challenges for independent stores," the Children's Book Shop said. "Nonetheless, the Children's Book Shop remains true to its goal of providing the best books possible, bringing generations of young people, educators and adults who value books for the young the opportunity to choose good books." 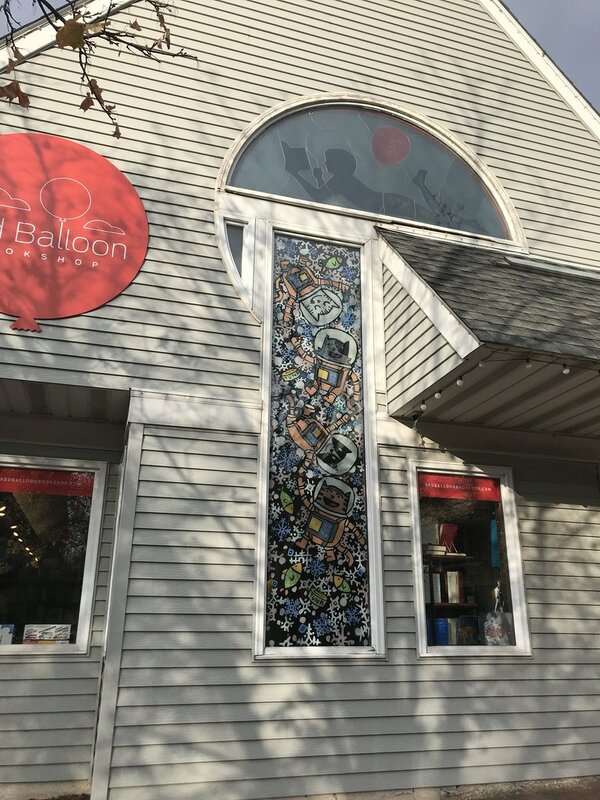 Red Balloon Bookshop, St. Paul, Minn., ‏tweeted a photo of the store's latest addition: "Look at our cat-tastic new window!! Thanks, @thebrockart! We can't wait to celebrate the new book with you 11/21!" The Lost Picnic by B.B. Cronin (Viking). Today Show: Elizabeth Heiskell, author of What Can I Bring? : Southern Food for Any Occasion Life Serves Up (Southern Living, $30, 9780848754389). NPR's On Point: A.J. Jacobs, author of It's All Relative: Adventures Up and Down the World’s Family Tree (Simon & Schuster, $27, 9781476734491). The View: Tyler Perry, author of Higher Is Waiting (Spiegel & Grau, $26, 9780812989342). He's also on CBS This Morning. Tonight Show: Julian Edelman, co-author of Relentless: A Memoir (Hachette Books, $27, 9780316479851). USA Network has given a straight-to-series order to American Rust, based on Philipp Meyer's novel, Deadline reported. The project is from Brian McGreevy and Lee Shipman, Universal Cable Productions, Platform One Media and producer Michael De Luca (The Social Network). David Gordon Green (Pineapple Express) will direct the initial episode and executive produce. American Rust is written by McGreevy, Shipman and Meyer, who also teamed up to develop the TV series adaptation of Meyer's The Son for AMC. The Society of Children's Book Writers and Illustrators announced that Dow Phumiruk won the inaugural Narrative Art Award, which is judged by a rotating panel of experts and honors illustrators who "show excellence incorporating narrative sequence and storytelling in their work." In honor of the 125th anniversary of Sherlock Holmes, the first assignment was to depict a mystery story in three illustrations with three distinct characters. Phumiruk will receive an all-expense paid trip to the SCWBI Winter Conference in New York City, and her winning illustrations will be displayed during the Portfolio Showcase. The other submissions are currently featured in an online gallery. 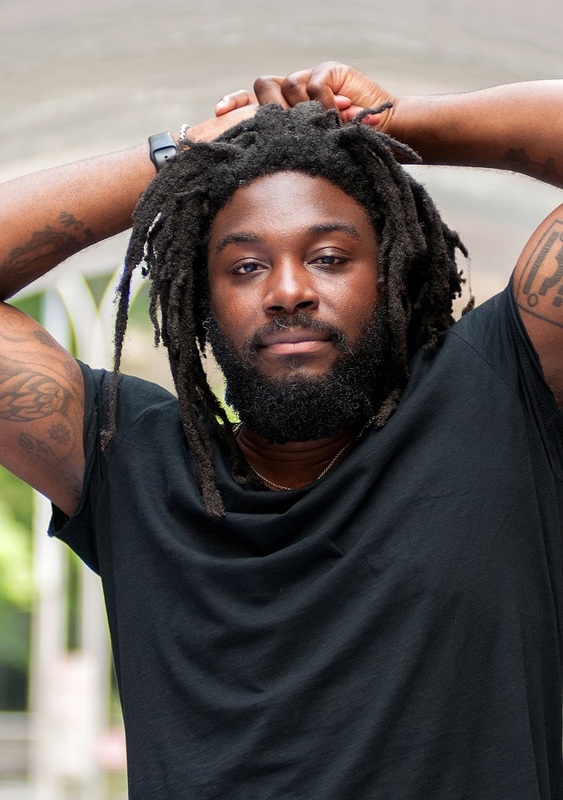 Jason Reynolds is crazy. About stories. He is a New York Times bestselling author, a National Book Award Honoree, a Kirkus Award winner, a Walter Dean Myers Award winner, an NAACP Image Award Winner and the recipient of multiple Coretta Scott King honors. His debut novel was When I Was the Greatest and was followed by Boy in the Black Suit and All American Boys (cowritten with Brendan Kiely); As Brave As You; and the first two books in the Track series, Ghost and Patina. His most recent novel, Long Way Down (Atheneum), was published October 24. At the moment, the only thing on my nightstand is an edition of Grimms Fairy Tales. I've been making it a habit to flip through it every day because I'm playing around with the idea of doing some kind of reinterpretation of one. We'll see! None. At least not that I can remember. Books weren't really my thing. Now, if liner notes count as book(lets) then I'd have to say Queen Latifah's Black Reign. To pick my top five authors is way too hard. But if I have to choose: James Baldwin, Langston Hughes, Jesmyn Ward, Lucille Clifton and John A. Williams. The book I've faked reading is definitely Harry Potter. I'm clearly a slytherin. Jesmyn Ward's Salvage the Bones. It's a story about a teenage girl, and love, and family, and ultimately the storm before the storm that was Hurricane Katrina. Dave Eggers' What Is the What. Gorgeous. Blue and Orange. And a stark brown face. None. I hid all of them from myself. Black Boy by Richard Wright. First book I ever read, and I only got through it because at the very beginning the protagonist burns his mother's house down. Perfection. "Unscrew the locks from the doors! Unscrew the doors themselves from their jambs!" From Walt Whitman's "Song of Myself." Always reminds me to kick the door down. Hmmm, tough one. Maybe Where the Sidewalk Ends by Shel Silverstein. That or Love That Dog by Sharon Creech. Days of Abandonment by Elena Ferrante, though I don't necessarily feel "guilty" about it. Being part of a Jewish and South Asian Indian family surely has delicious perks: "Making Indian food that my mom ate as a kid for a Jewish holiday that my dad grew up with--that was a lucky combination." For the first-night-of-Hanukkah meal, a boy looks forward to making dosas--a crispy-on-the-edges, paper-thin South Asian-style crepe--with his mother and his Amma-Amma (maternal grandmother). His one concern is his mischievous toddler sister, Sadie, who climbs up just about anything. Sharing his discomfort with his elders elicits little response, even as Sadie clambers on a table with a nearby full glass. When the family heads to Little India Market for ingredients, the boy knows Sadie will require a careful eye. Her first scaling attempt is "a pyramid of coconut milk," which sends cans rolling, but not before Sadie crests the top. When she refuses to descend, the boy remembers a favorite Hanukkah song which he cleverly personalizes: "I had a little dosa; I made it out of dal," he sings to the tune of "Dreidel, Dreidel, Dreidel." With a "big grin" of recognition, Sadie "amazingly... climbed down." Three more times, the boy serenades Sadie before their celebrations commence. As the family goes to greet their guests, they manage to get locked out. The boy quickly realizes that Sadie's climbing prowess might save the day--and the dosas--but only if he can finish his special song and convince Sadie to open the door. In her back-flap bio, author Pamela Ehrenberg confesses to locking her own family out of the house as a toddler, an experience she channels in Queen of the Hanukkah Dosas. 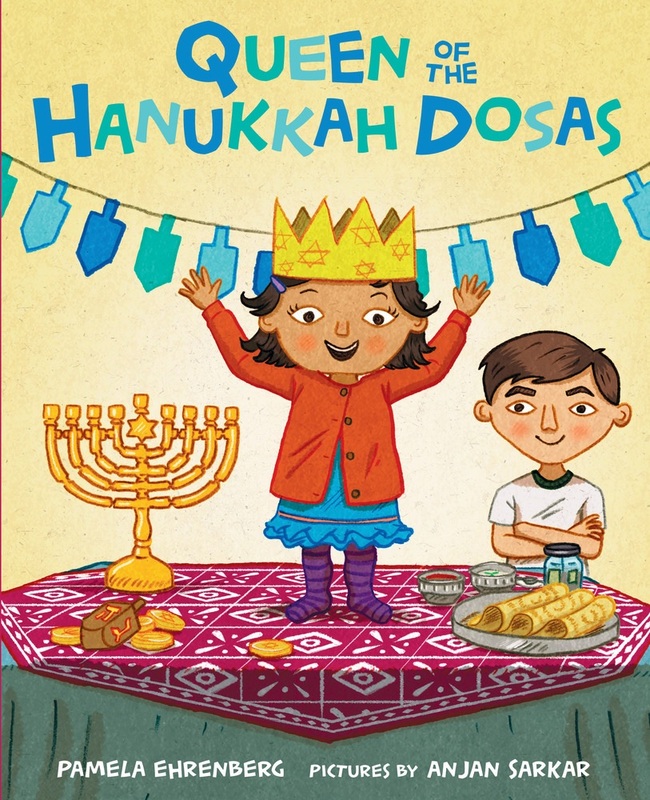 Ehrenberg enhances her toddler-tale by adding delicious diversity, substituting delectable dosas and sambar (recipes included at the book's end) for traditional latkes and applesauce for this multicultural crew. British artist Anjan Sarkar's bright illustrations add a celebratory feel; he's also careful to include visual reminders of the family's blended cultures throughout, from South Asian clothing for Mom and Amma-Amma to Jewish symbols such as the front door frame's mezuzah and Hanukkah reminders such as dreidel banners and the menorah. Shelf Talker: Pamela Ehrenberg blends religion and culture to create a toothsome treat about how one diverse family celebrates Hanukkah with southern Indian food.